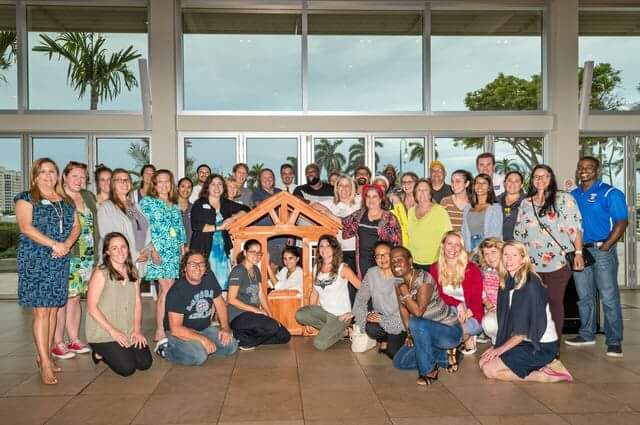 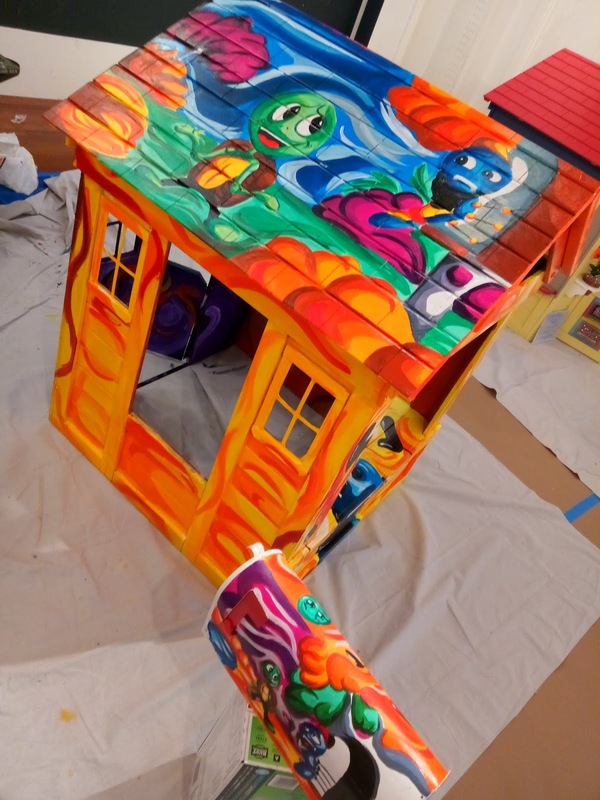 artist to bring to life the Playhouses built by Habitat for Humanity and the chairty the artists are partner with. 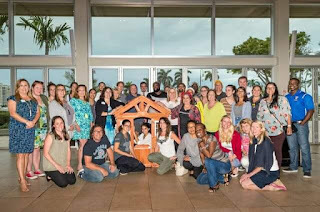 Our charity is United Way of Palm Beach County. 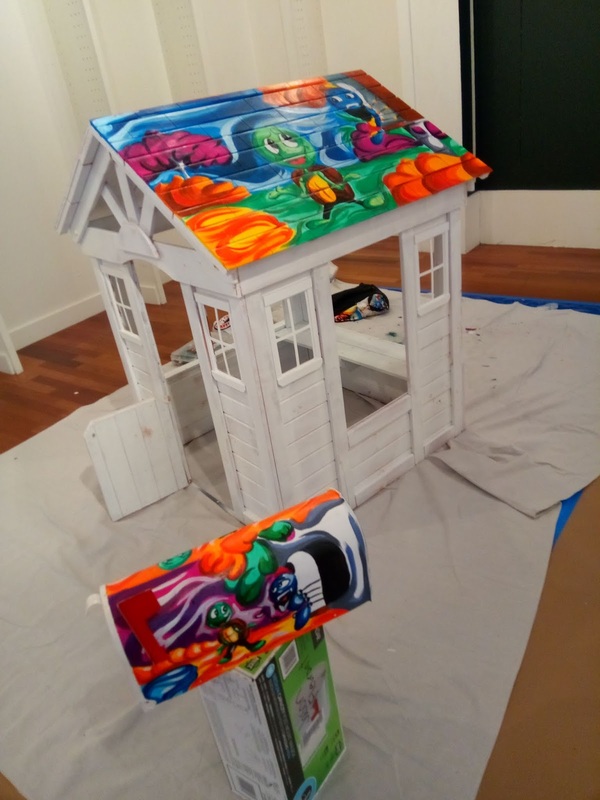 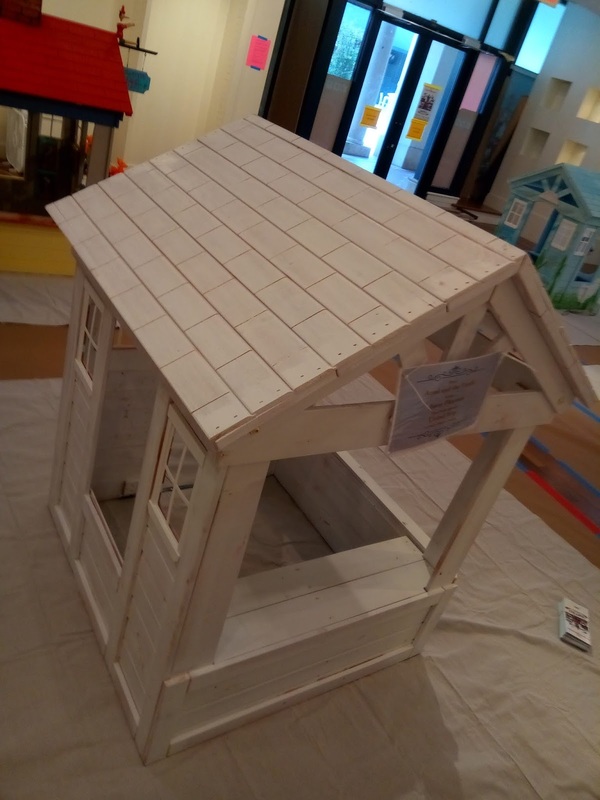 This Thursday during Clematis By Night will be the unveiling of the playhouses. 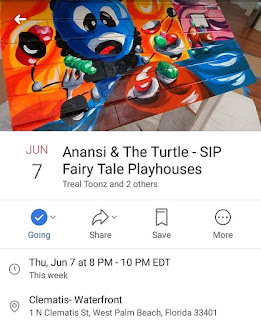 Ours is based on the folktale "Anansi and The Turtle". The houses will be exhibited all summer and on July 26 their will be an auction during Clematis By Night to win them! 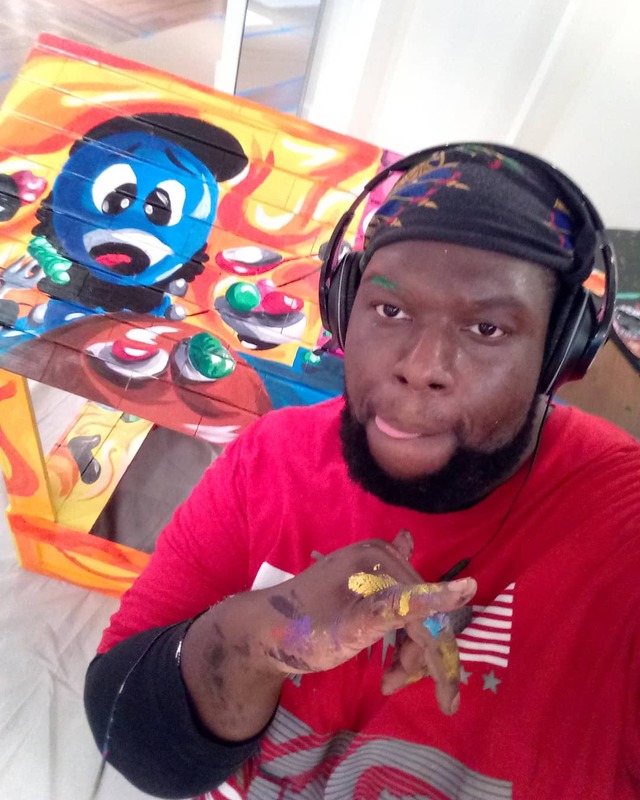 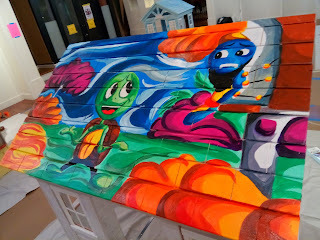 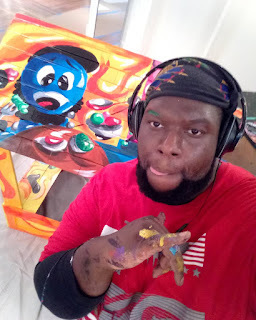 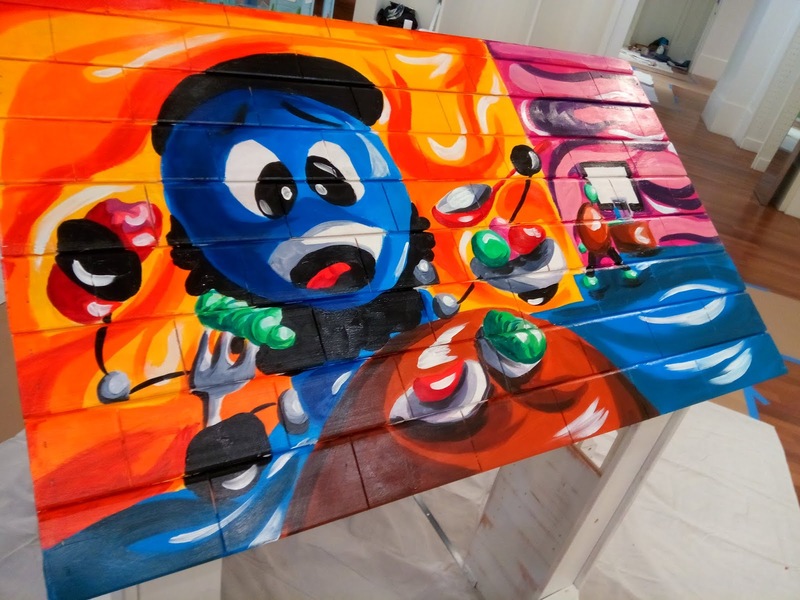 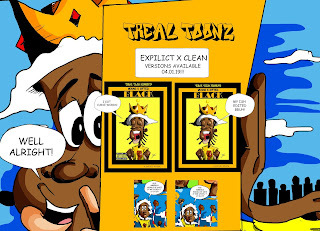 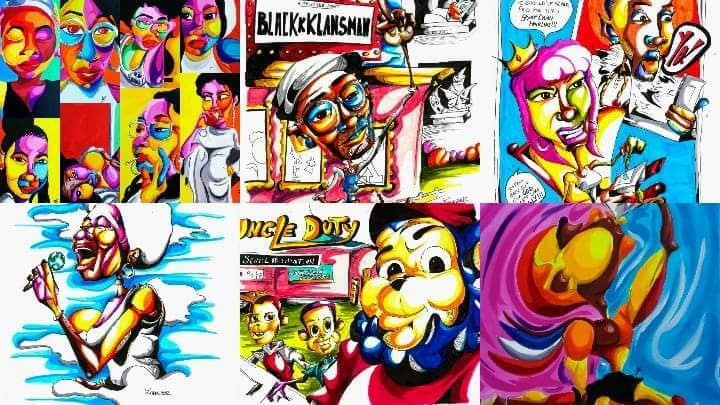 Yes you can take home the Treal Toonz painted home! 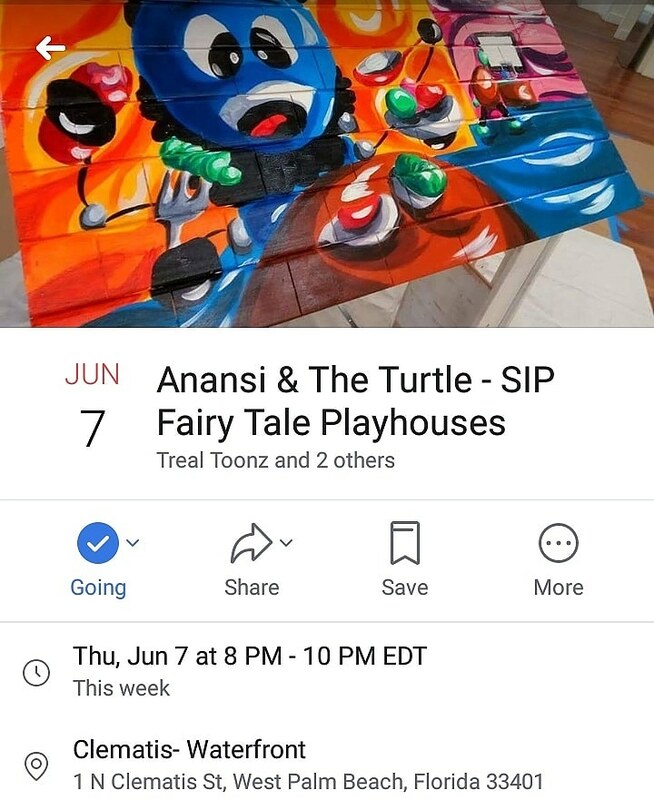 The proceed of "Anansi & The Turtle" sale will go to support United Way of Palm Beach County.